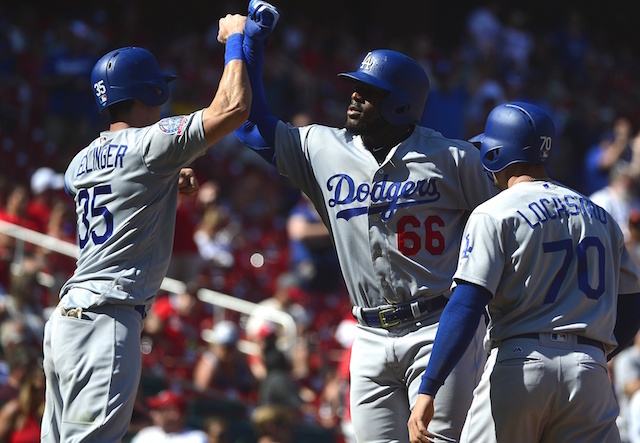 The Los Angeles Dodgers are getting hot at the right time as they notched a third straight victory over the St. Louis Cardinals on Saturday afternoon. They did so behind their bats coming alive to the tune of 16 hits, 10 walks and 17 runs. Manny Machado got the scoring started in the top of the first inning when he hit a two-run home run, his 35th of the year. The home run marked the 23rd straight game that the Dodgers have left the ballpark, which is now just one off from tying a franchise record. Yasiel Puig took over from there as he followed up a multi-home run performance on Friday night by hitting a career-high three home runs on Saturday. 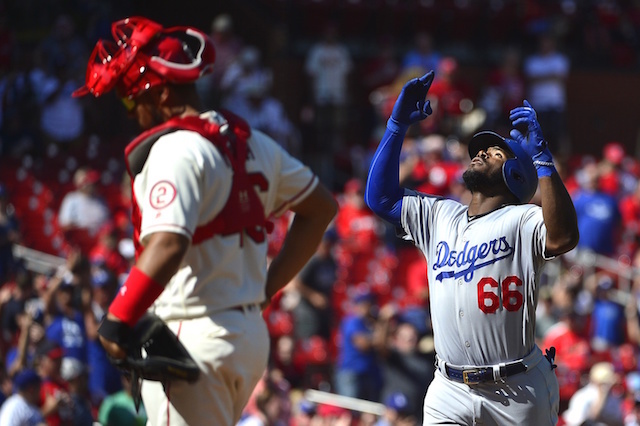 Puig hit a solo shot in the fourth, a three-run shot in the fifth and then for good measure, another three-run shot in the eighth to give him seven RBI on the day. Cody Bellinger also had a solid day at the plate, driving in two with a single in the fifth and another with a single in the sixth. His big hit of the day came in the ninth inning though when he launched a three-run homer to right-center field to cap off the Dodgers’ victory. Bellinger finished with six RBI in the game, making him and Puig the second pair of Dodgers teammates to drive in six or more runs in the same game since at least 1908. 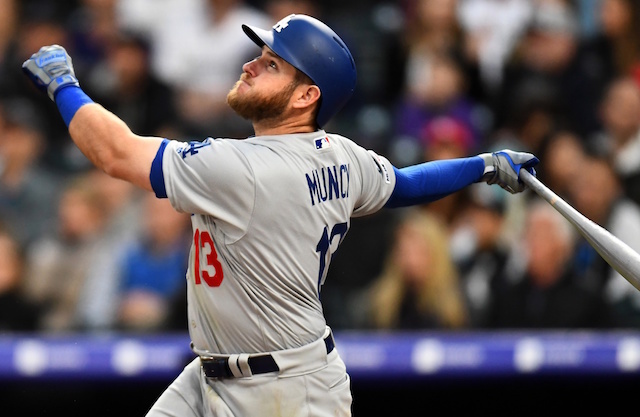 While they didn’t leave the yard like Machado, Puig and Bellinger, Justin Turner and Max Muncy also got the job done at the plate as the duo combined to reached base in all 10 of their plate appearances. Turner went 3-for-3 with a walk and hit by pitch, while Muncy went 1-for-1 with a career-high four walks. Turner also escaped injury as he was hit on the left wrist but X-rays came back negative.